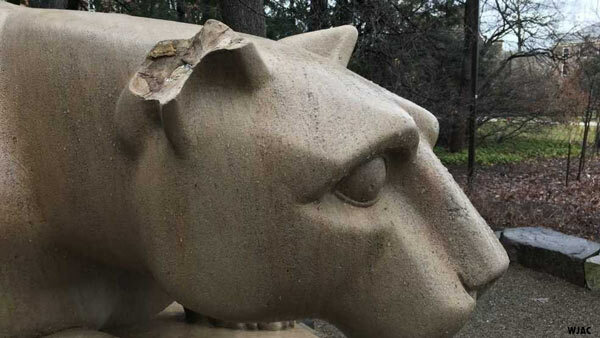 STATE COLLEGE, Pa. -- Police are investigating damage to a statue of the Pennsylvania State University mascot. Authorities were called to the university around 4 a.m. Sunday to reports of damage to the Nittany Lion Shrine. Police say an ear was broken off and found nearby. University police are working to determine if the damage was intentional or accidental. They have not said if the damage was connected to the weekend's State Patty's Day celebrations, an unofficial campus holiday that has led to several alcohol-related arrests and hospital visits in the past.